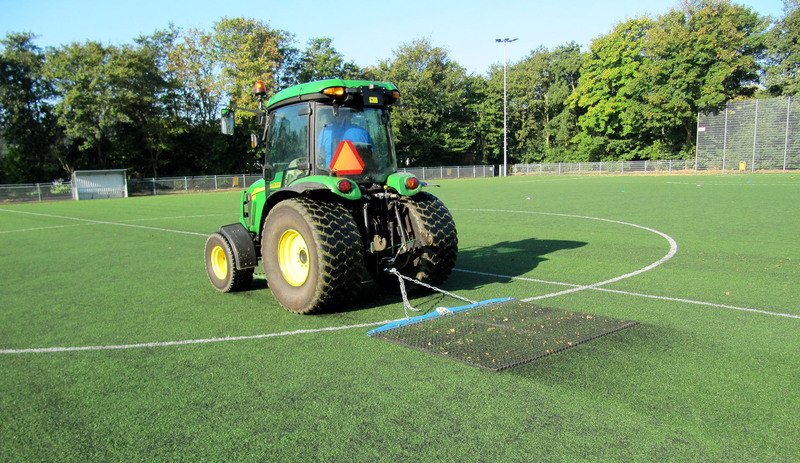 The ‘finishing touch’ will determine the appearance of your synthetic turf pitch. 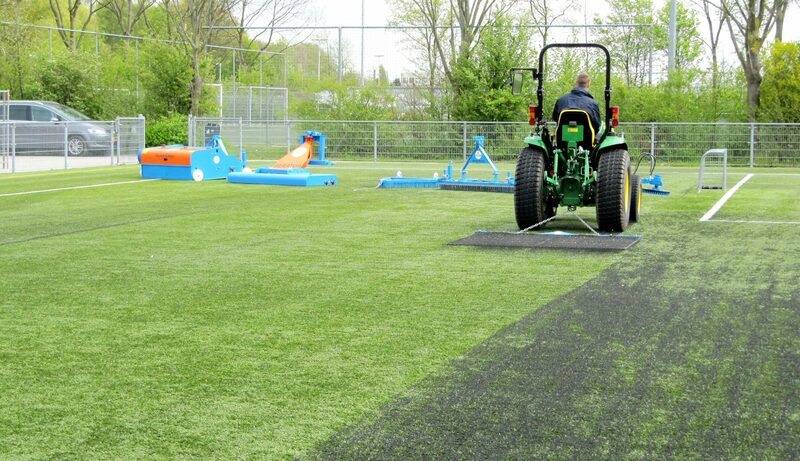 With the Topfinish you can drag every type of synthetic turf pitch. 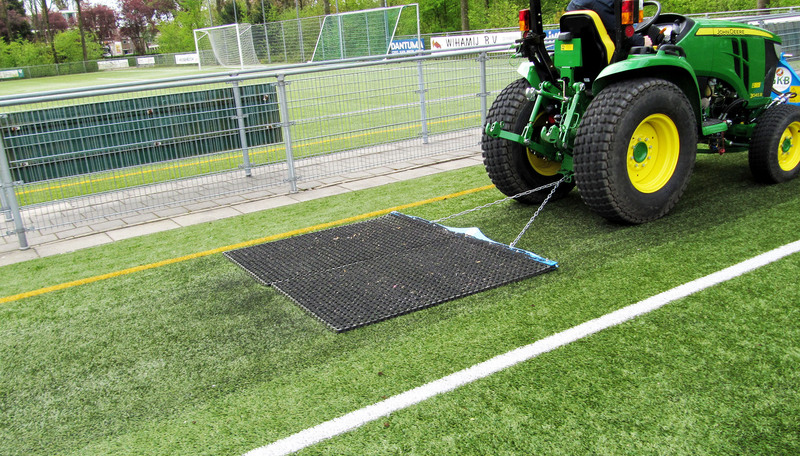 During the operation, you are able to spread the infill and remove possible contamination from the mat structure. Result: a good looking synthetic turf pitch of which you can be proud. The Topfinish is built of durable materials. We will never use wood; with steel and rubber we can ensure years of productivity.